Another picture just showed up in the mail from an earlier time. This was taken aboard Woodwynd in 1985 after a weekend sail to Catalina. 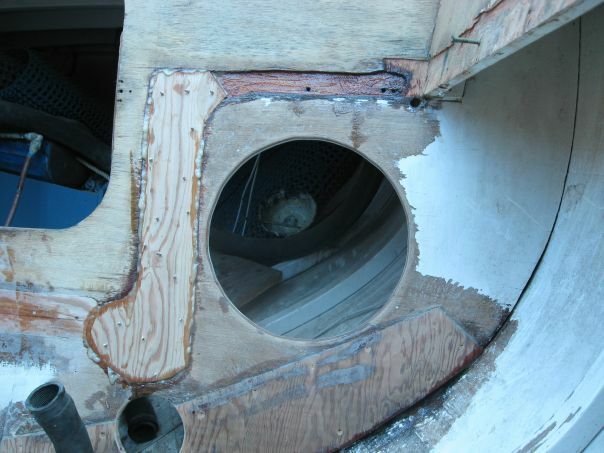 The photo on the bulkhead was a copy of the cover of the Dinghy (local Marina Del Rey sail rag) after the W.H.O.A race. UPDATE: I just (2/16/2011 & 2/18/2010) got two letters from an earlier owner. I have copied them below along with my reply to the first. I knew this boat when I was growing up. It was built in the driveway of a neighbor and friend of my dad. I had my wife scan a photograph of Woodwynd that we still have hanging on a wall of our home here in Rhode Island. Attached is that scan. I believe the original photograph was taken in the spring of 1974 ...or about 37 years ago. Woodwynd was on a mooring at the Isthmus, Catalina Island, and the hills on the east side of the Isthmus are evident in the background. The reason for the Union Jack flying from the starboard ensign halyard was that a friend from England was in the US and accepted an invitation to sail to Catalina. By the way, when we were racing her in the early 1970's a number of people inquired about the spelling of her name. It is an interesting story. Many years ago while I was a graduate student, I was studying in the university library, and evidently needed to look up a word beginning with the letter "w". The nearest dictionary (this was long before spell-check) was the multi-volume Oxford Dictionary of the English Language. While looking up whatever word it was that I was then so interested in at that time ...which has long since passed from my recollection... I happened to see the word "wynd". It had three distinct meanings: (1) Old English; "to win" as in "to win the race", (2) Middle English; "the wind", as in "the wind is blowing", (3) Modern English; to wynd one's way along, as in "to go". I thought at that very moment "what a great name for a sailboat", since clearly one wants "to go", you are moved by "the wind", and with a bit of luck and good fortune when racing one would obviously like "to win". That was about 1963. In 1969 when George Baker and I bought Seaya from Ken Pond, I told the story to George over a cold beer, and since she was a wooden boat we quickly decided on Woodwynd. Hopefully, her current owner will enjoy that little story. I just found out about your L-36 site from an old friend who lives in CA. I moved to Saunderstown, RI in 1997 and hence have been far away from CA for some years. I was the co-owner, with George Baker, of Woodwynd, sail number 7459, hull 59, (the former Seaya), originally owned by Ken Pond from Long Beach, CA. 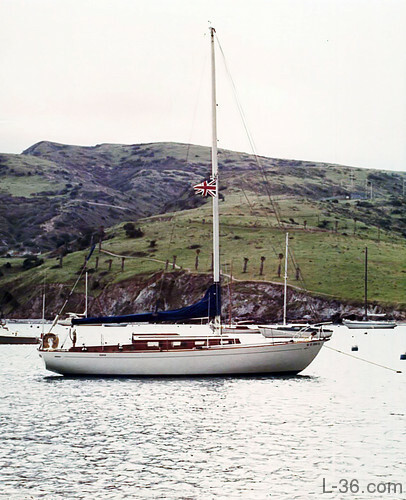 We bought her in the fall of 1969, re-christened her as Woodwynd, did a lot of sanding and varnishing, and sailed her in eight Newport-Ensenada races as well as the 1971 and 1973 TransPac races. We also cruised her extensively to Catalina many times, and to the Channel Islands often. She was a wonderful boat with a seakindly motion in the roughest weather. Ultimately, I bought out George Baker's interest in 1973, and subsequently sold her in 1976 when four friends and I designed, constructed, and raced the cold molded 2 Tonner, Flexible Flyer. On the one hand it was sad to see the condition that dear old Woodwynd had deteriorated to, but heart warming to see that someone loves her enough to re-condition her. Thank you so much for the note. It is a small world story for me. 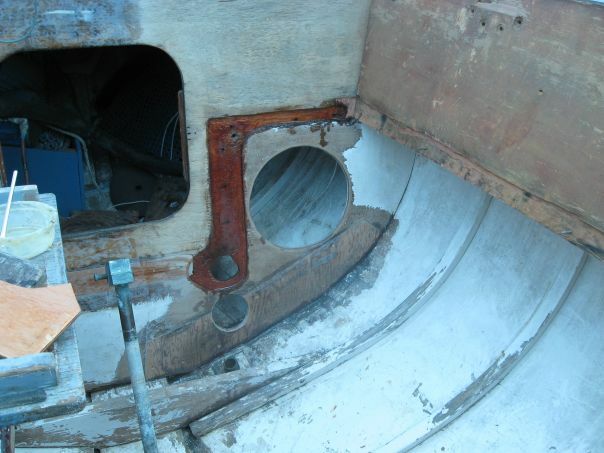 My dad lived on the same street as Ken Pond and I watched for what seemed like a decade as he built the boat (from a purchases hull) in the driveway of his home. I drove by that boat many times and sailed with her over to Catalina as both Ken and my dad were in the same club, the Channel Cursing Club. I did not know that was the same boat as Woodwynd. I will post your letter on the Woodwynd site. We owned Woodwynd in the early 80's (81-85)and that is the original name. We were the third owners. Woodwynd was built by Chapman & Kalayjian in Costa Mesa in 1963. There were Transpac plaques on the interior bulkhead when we sold her. We also left a log on board that documented one of the Transpac races. We raced in the WHOA (Wooden Hull Owner's Association) and always came in 2nd! A photo of Woodwynd was on the cover of the Dinghy...a Marina Del Rey sailing paper in one of the WHOA races in 1985. 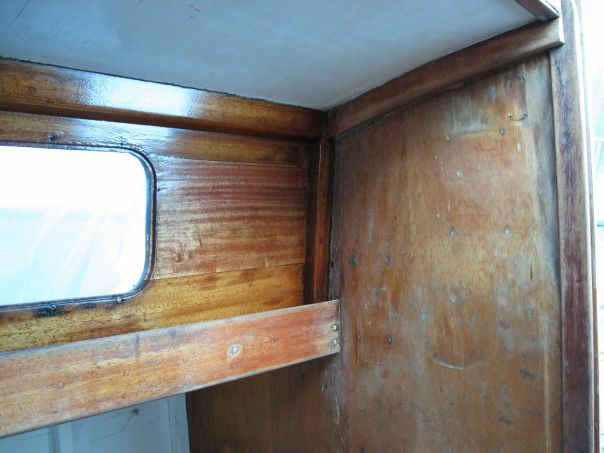 We restored the cabin exterior and the deck (painted w/walnut shells)and LPed the hull. We hauled out faithfully every year. We had a new Universal Atomic 4 gas engine and a folding prop (kind of a pain. We kept her in Marina Del Rey near the Pacific Mariners yacht club. Unfortunately when we sold her, she fell in to disrepair and I saw Woodwynd in Santa Barbara about 10 years later and she looked like hell...very depressing.